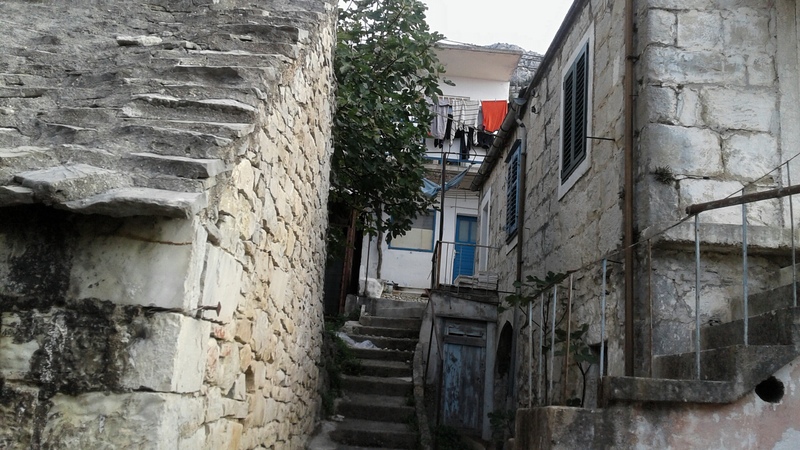 At a quick glance it appears that the old village is deserted, but look again and see the laundry on the line, There is a renewed interest in restoring many of the old villages in Dalmatia. People are realizing that they want to preserve their ancestral homes. And in cases like ours, we are absolutely in love with old stone houses. It is a privilege to be able to restore someones home and think about all that happened within those walls. There were celebrations, difficult times and just life. We have tried to maintain as much as possible from the original house. I have used an old door as a coffee table and we have the wine press on our terrace. Come to Croatia on a Croatia Only Tour and find your own little, stone house.